A cheesecake that is nut free, keto-friendly, and SO DELICIOUS?! Yes, please! This low carb keto cheesecake is made with the yummiest ingredients and only requires 30 minutes of prep time! This recipe is seriously INCREDIBLE! ? 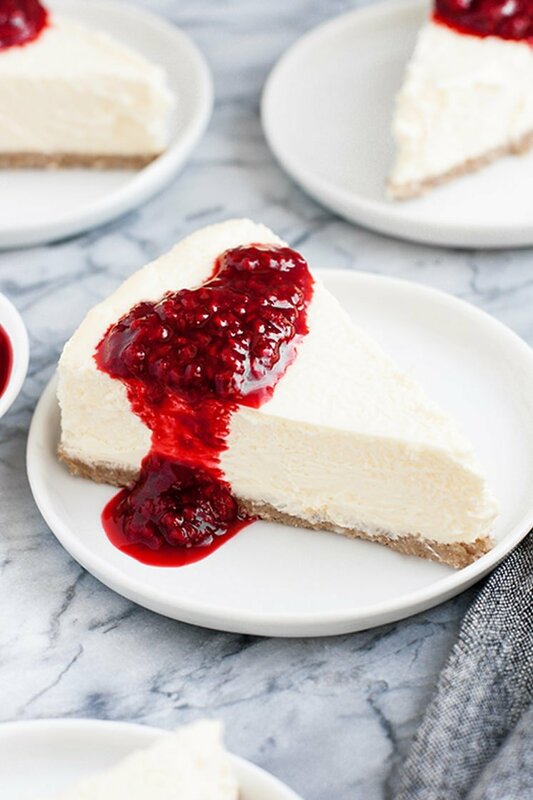 The crust is made with a blend of shredded coconut and sesame seeds, and the cheesecake layer itself includes ingredients like cream cheese, vanilla extract, and, of course, Lakanto Monk Fruit Sweetener! Cheesecake often has a reputation for being a complicated dessert to nail. I’m here to dispel that myth! This recipe is written with the “newbie baker” in mind! 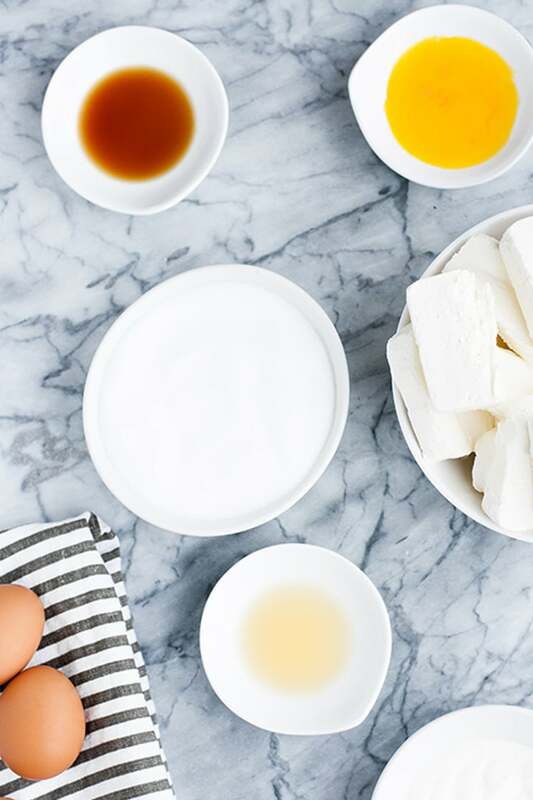 Step-by-step photos will walk you through how to successfully bake a keto cheesecake that you will absolutely love and will satisfy all of your dessert cravings! For this delicious keto cheesecake, there are essentially two separate parts: the crust and the actual cheesecake layer. 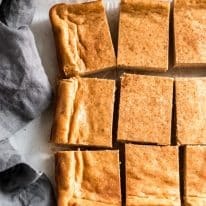 Most keto cheesecake crusts contain almond flour or another nut-based ingredient, but not this one! This keto cheesecake crust does not contain any almond flour. 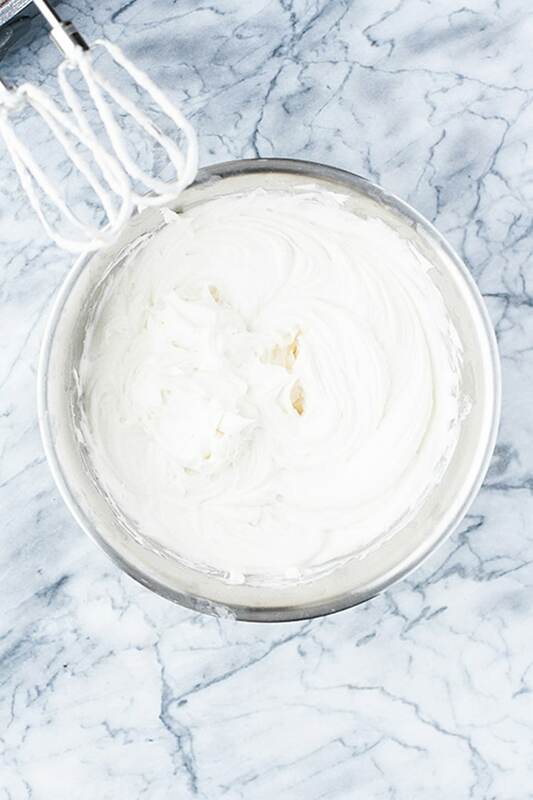 I have a serious peanut and tree nut allergy and am so happy to be able to share a low carb and nut free cheesecake crust recipe with all of you who also have nut allergies! For the crust of this cheesecake, we use a combination of shredded coconut, sesame seeds, melted butter, sweetener, and spices. Tip: When blending the sesame seed and shredded coconut mixture required for the crust, I find that it’s best to pulse these in a single-serving blender attachment. After pulsing, the mixture may thicken and turn into a paste. This is completely fine, but do not continue pulsing. At that point, the mixture is blended enough. When using this amount of sesame seeds, I suggest buying the sesame seeds in bulk, rather than an individual spice container. If you’re wondering which brand is lowest in carbs, I would suggest this brand of sesame seeds, which you can purchase on Amazon. One serving of these sesame seeds contains only 1 gram of net carbs. For both the crust and the cheesecake layer, monk fruit sweetener is required. Using this products yields a cheesecake that is perfectly sweet, yet low in net carbs! 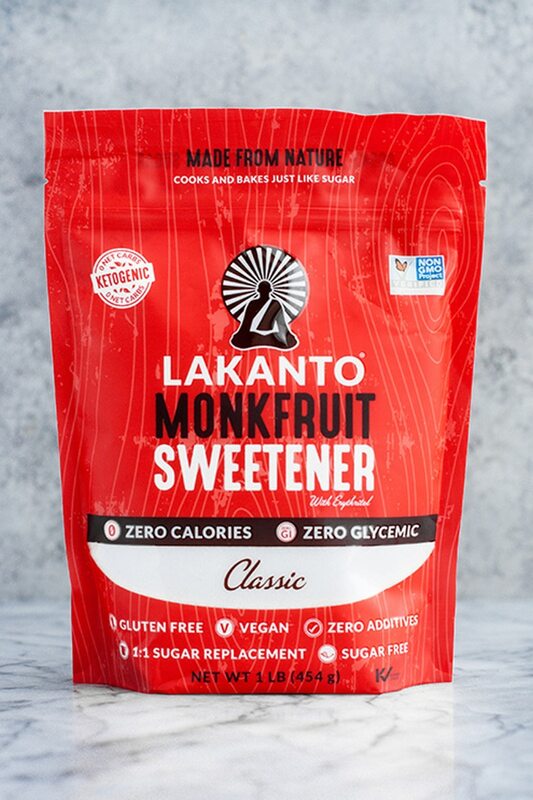 I use Lakanto’s Monk Fruit Sweetener because it’s delicious (it tastes exactly like granulated sugar), easy to incorporate (it uses a 1:1 ratio! ), AND it’s net carb free! Learn more about Lakanto and grab your monk fruit sweetener for 20% off. Just use code “REALBALANCED” at checkout! When making a cheesecake, there is always a risk of cracking. One way to help prevent this is through the use of a water bath. To start, use a springform pan. 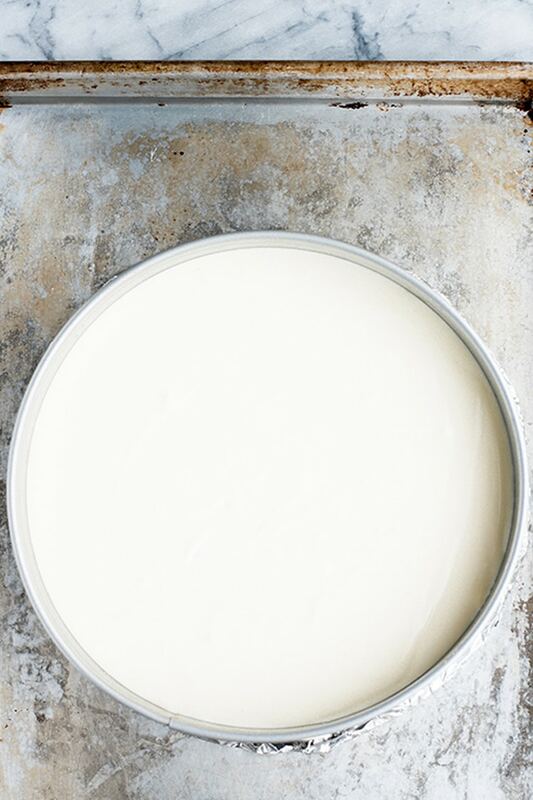 When baking time comes, place the springform pan in a larger pan or dish of hot water. When baking, the hot water produces a steam that will allow everything to cook thoroughly and remain even. It helps to prevent a lopsided cheesecake! Note: If some water seeps into the springform pan while baking, don’t worry! After chilling, it’s unlikely that a small amount of water will result in a soggy cheesecake. Another way to prevent cracking is to allow your cheesecake to cool slowly. Drastic temperature changes will likely lead to a cracked cheesecake, so you should be careful in this area. To avoid cracks, allow the pan to sit in the oven with the oven door cracked for 1 hour after baking. Moving straight from a hot oven to a cold refrigerator will lead to surface cracking, but slow cooling prevents this. To keep your oven door cracked, I like to stick a wooden spoon between the oven frame and the oven door, which will prevent the door from accidentally slamming shut and potentially leading to your cheesecake cracking. Raspberry cheesecake topping? Yes, please! If you want to add an extra little something sweet to your cheesecake, try out a delicious raspberry drizzle! To make this, mix fresh raspberries with 1-2 tsp of lemon juice and 1 tbsp of classic monk fruit sweetener. On medium heat, allow the mixture to warm on your stovetop for 5-10 minutes, mixing it as it simmers. Drizzle on top of your slice of keto cheesecake, and enjoy! If you’re a raspberry lover like me, you will probably also love this Dark Chocolate Raspberry Bark! Cheesecake remains fresh and delicious in the refrigerator for about 5 days. When storing, be sure to use an airtight container. It’s a good idea to place a paper towel on top of the cheesecake, as this will prevent condensation build-up from making your cake soggy. Alternatively, you may freeze your cheesecake and, when you’re ready to serve, allow it to thaw in the refrigerator. 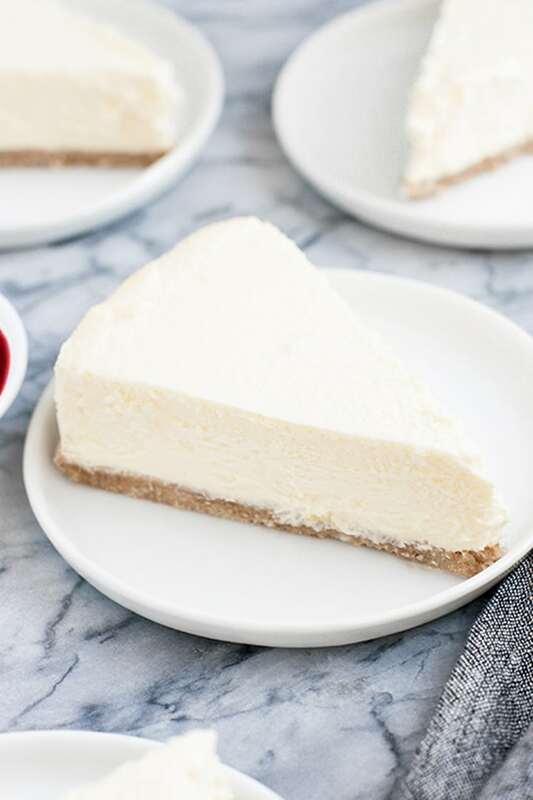 This nut free keto cheesecake recipe is bound to be a dessert favorite! Preheat oven to 300 degrees. Liberally coat bottom and sides of 9-inch springform pan with nonstick cooking spray. Wrap bottom and sides of outside of pan with aluminum foil, and set aside. 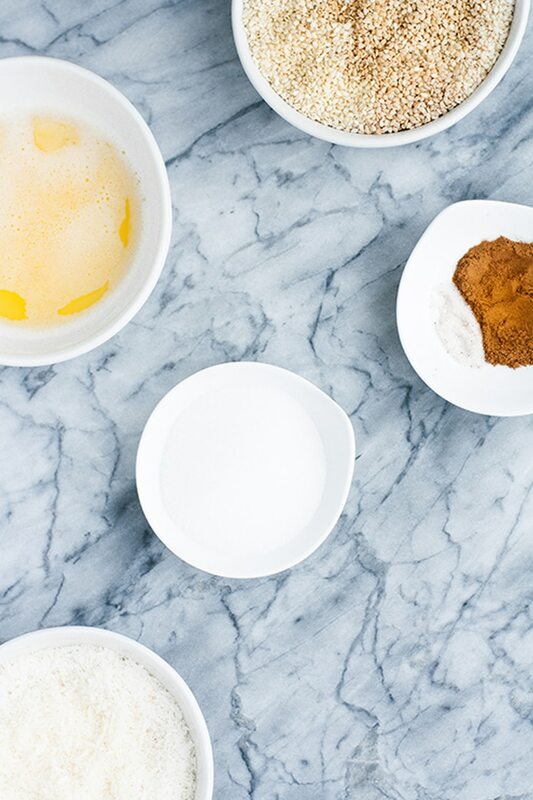 Assemble the ingredients for the crust. In a food processor, pulse sesame seeds and shredded coconut until ground. Transfer mixture to mixing bowl and add melted butter, monk fruit sweetener, cinnamon, and salt. Mix the crust ingredients with a fork until well-incorporated. Spoon crust mixture into prepared springform pan and transfer pan to the oven to bake until the edges are golden brown, about 15 minutes. After baking, remove pan from oven and allow to cool while preparing the cheesecake layer. Assemble the cheesecake layer ingredients. In a food processor, pulse monk fruit sweetener until powdered. 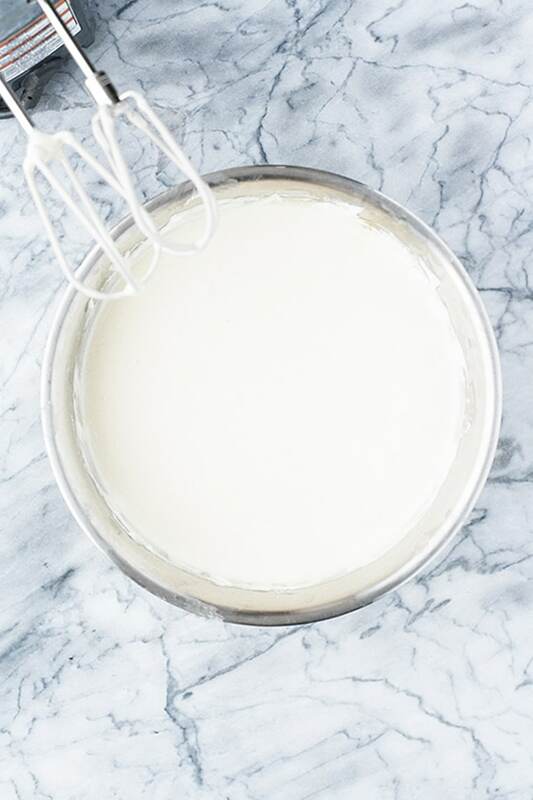 Transfer powdered monk fruit sweetener to mixing bowl and add cream cheese and sour cream and, using an electric mixer at medium-low speed, mix ingredients together until mixture is creamy and smooth. 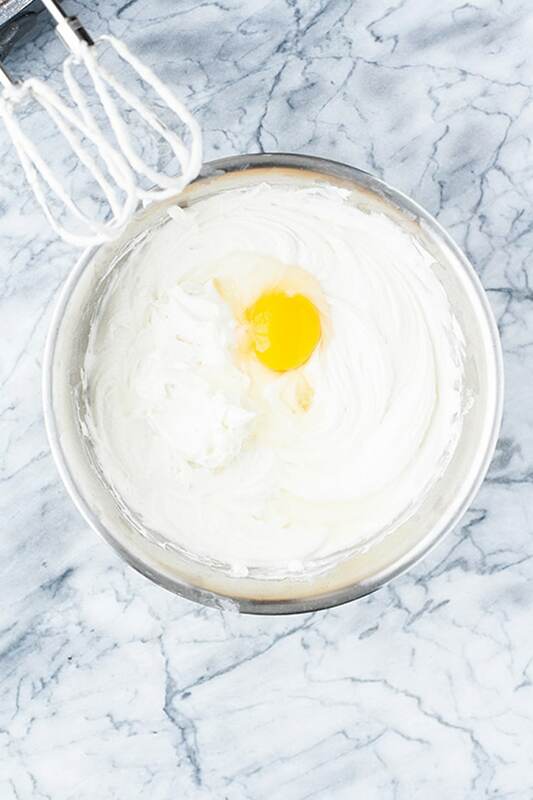 Then add eggs and yolks onto the batter one at a time, mix on medium-low speed until each egg is just barely mixed in. 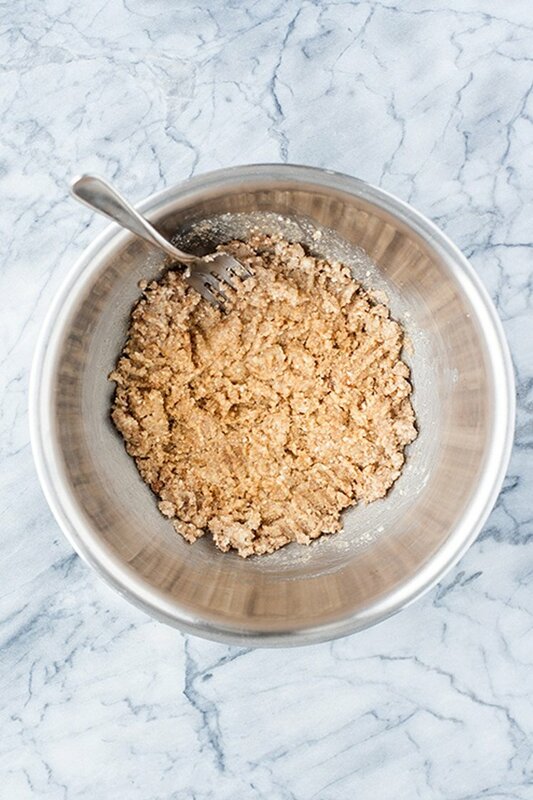 Scrape sides and bottom of the bowl, add lemon juice and vanilla extract before mixing again. Pour cream cheese mixture atop crust in springform pan. Place foil-lined springform pan in center of large baking sheet. Pour enough water into baking sheet to fill ~1 inch of water. Bake until the center is almost set, but still “jiggly,” about 1 hour, 10 minutes. Then, turn oven off and, using a wooden spoon, crack oven door open just slightly. Allow pan to sit in cooling oven for 1 hour. Remove baking sheet with water bath and pan from oven. Remove pan from water bath. Remove and discard foil from outside of pan. Slide a knife around the edge of the cheesecake (to separate the edge of the cake from the pan). Transfer pan to refrigerator to chill uncovered for 4 hours, preferably overnight. This keto cheesecake is great for a BUNCH of diet types! 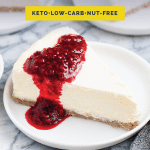 Keto and Low-Carb: With only 3.9 grams of net carbs per serving, this low carb cheesecake is a ketogenic dieter’s dream! Primal: This cheesecake recipe follows primal diet restrictions. Gluten-Free: This recipe is safe to consume for those with Celiac and other gluten intolerances. Grain-Free: There are no grain products used in this nut free keto cheesecake. Nut-Free: This recipe is free from tree nuts and peanuts. Vegetarian: With zero meat products, this cheesecake is great for vegetarians. 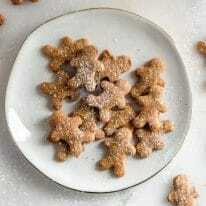 Sugar-Free: This recipe uses monk fruit sweetener. 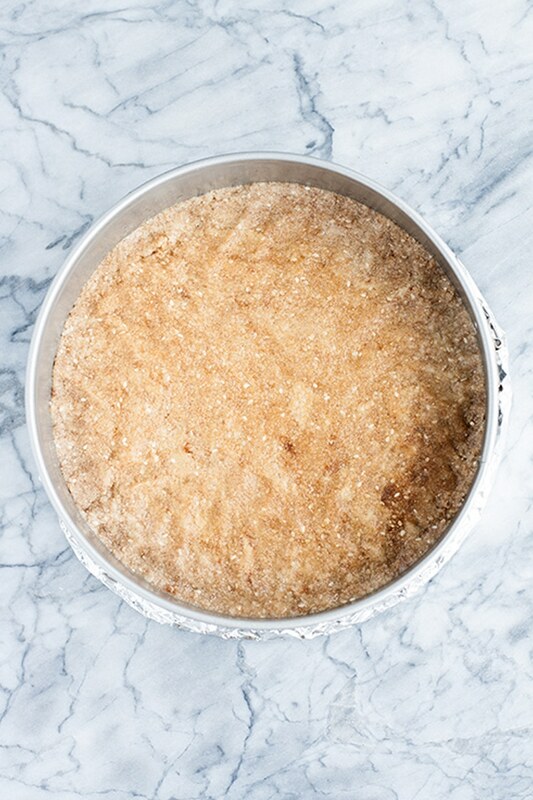 It is free of traditional and granulated sugar. Find more keto cheesecake bites and recipes! Do you love cheesecake but following a ketogenic diet and have a nut allergy? 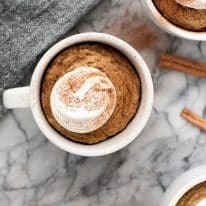 Have you been searching for keto nut free recipes? This is the perfect keto nut free cheesecake recipe for you! Crust: Preheat oven to 300 degrees. Liberally coat bottom and sides of 9-inch springform pan with nonstick cooking spray. 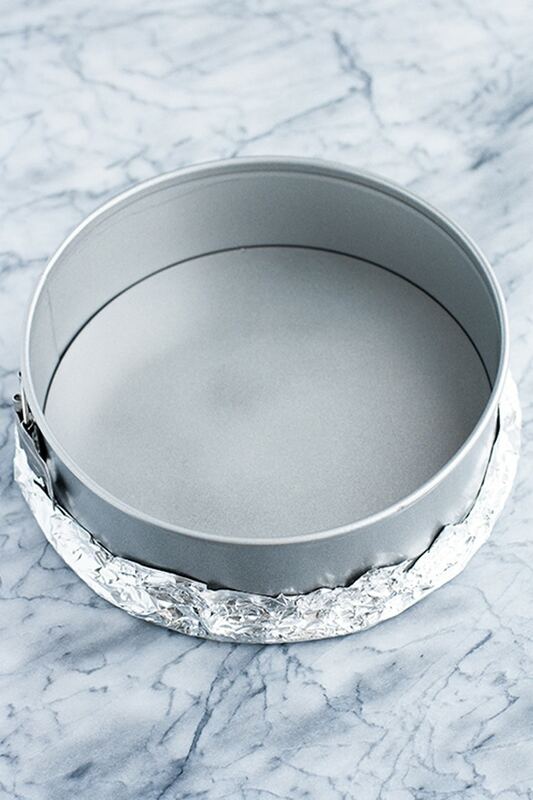 Wrap bottom and sides of outside of pan with aluminum foil (this will ensure liquid from the water bath does not seep into the cheesecake when baking). Set aside. In a food processor, pulse sesame seeds and shredded coconut until ground. Transfer mixture to mixing bowl and add melted butter, monk fruit sweetener, cinnamon, and salt and mix with a fork until well-incorporated. Spoon crust mixture into prepared springform pan and transfer pan to the oven to bake until the edges are golden brown, about 15 minutes. After baking, remove pan from oven and allow to cool while preparing the cheesecake layer. Cheesecake Layer: In a food processor, pulse monk fruit sweetener until powdered. Transfer powdered monk fruit sweetener to mixing bowl and add cream cheese and sour cream and, using an electric mixer at medium-low speed, mix ingredients together until creamy and all cream cheese lumps are gone (a few small lumps are fine, but we just want to be sure all of the large lumps are mixed). Using a rubber spatula, scrape sides and bottom of bowl to unsecure any cream cheese that has stuck to the bowl. Mix again. Add lemon juice and vanilla extract and mix again. 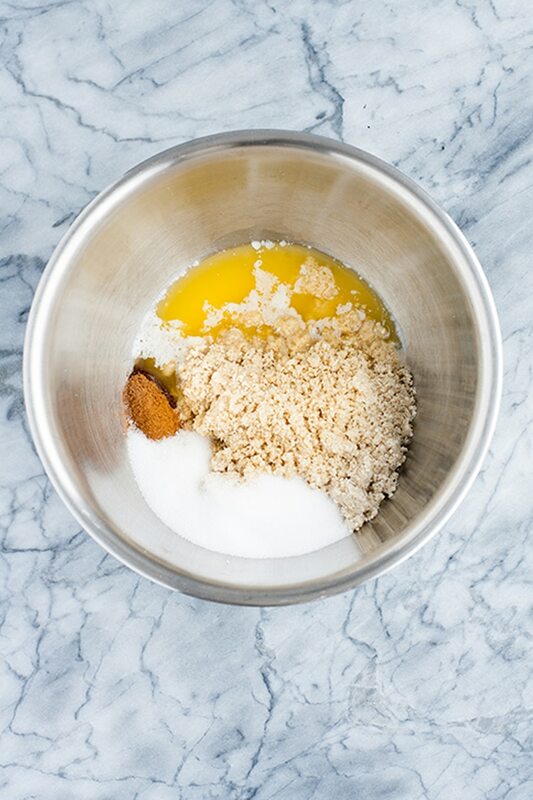 One at a time, add eggs and egg yolk and mix on medium-low speed until each egg is just barely mixed in. It’s important to not over mix the eggs, otherwise the cheesecake surface may crack while baking. Place foil-lined springform pan in center of large baking sheet. Pour enough water into baking sheet to fill ~1 inch of water. Final Steps: Pour cream cheese mixture atop crust in springform pan. Return pan set in water bath to oven and bake until the center is almost set, but still “jiggly,” about 1 hour, 10 minutes. Turn oven off and, using a wooden spoon, crack oven door open just slightly. Allow pan to sit in cooling oven for 1 hour. Remove baking sheet with water bath and pan from oven. Remove pan from water bath. Remove and discard foil from outside of pan. Slide a knife around the edge of the cheesecake, to separate the edge of the cake from the pan. Transfer pan to refrigerator to chill uncovered for 4 hours, preferably overnight, before cutting and serving. Sesame Seed and Shredded Coconut Mixture: I find that it’s best to pulse these in a single-serving blender attachment. 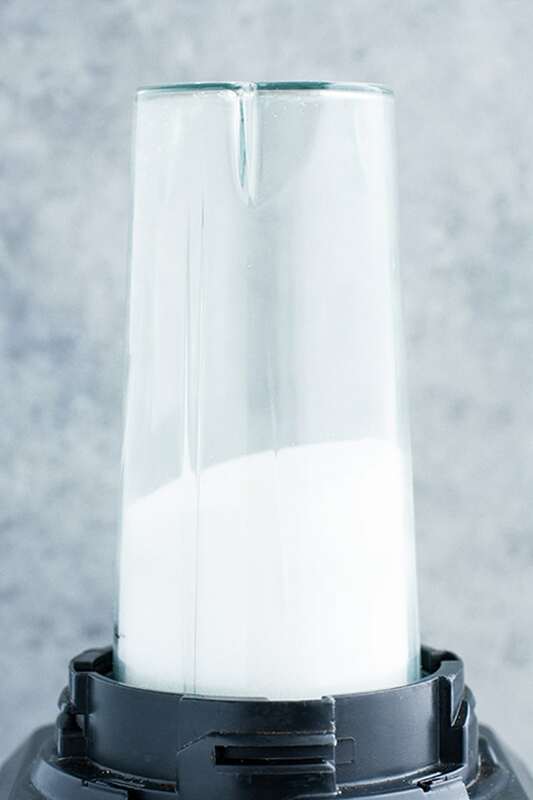 After pulsing, the mixture may thicken and turn almost into a paste, which is completely fine, but do not continue pulsing it. At that point, the mixture is blended enough. Water Bath: Using a water bath will help to ensure that, while baking, the cheesecake will evenly cook. If some water seeps into springform pan while baking, don’t worry! After chilling, it is unlikely a small amount of water will result in a soggy cheesecake. Drastic Temperature Change Will Likely Lead to Cheesecake Cracking: To avoid this, after baking, allow the pan to sit in the oven with the oven door cracked for 1 hour after baking. This is to allow the cake to slowly cool, rather than moving straight from a hot oven to a cold refrigerator, which will lead to the surface of the cheesecake cracking. 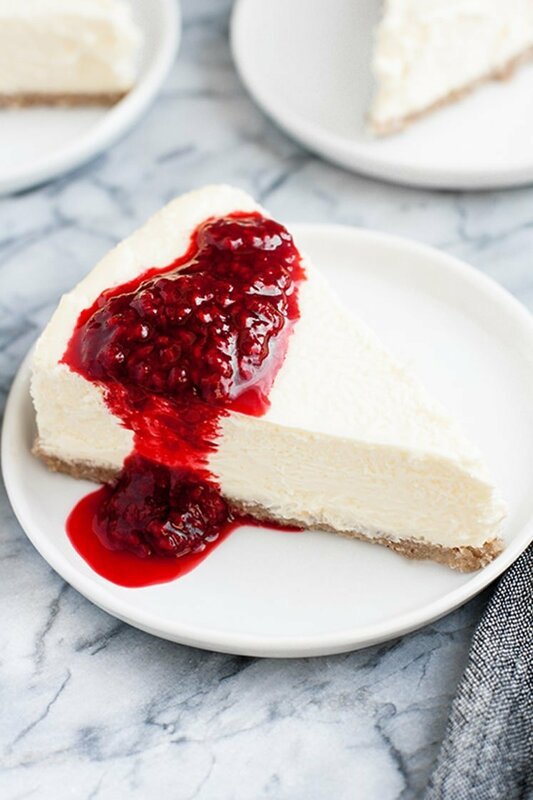 Optional Low-Carb Cheesecake Topping: Serve your cheesecake with a drizzle of raspberry reduction. Simply cook fresh raspberries with 1-2 tsp of lemon juice and 1 tbsp classic monk fruit sweetener on the stovetop over medium heat for 5-10 minutes, mashing the raspberries as they simmer. Storage: Store cheesecake in the refrigerator in an airtight container with paper towel gently set on top. The paper towel will lessen any condensation build-up in the container, which could potentially lead to the cheesecake getting soggy. This is a sponsored post written by Sara Nelson on behalf of Lakanto. It’s always been a struggle to find a decent cheesecake recipe that fits my family’s dietary restrictions (e.g. low-carb and sugar-free), and that’s why this nut-free keto cheesecake recipe is the ABSOLUTE best! I also love how you can use whatever topping you want. Shaved 85% sugar-free chocolate? YES! Seasonal fruits? YES PLEASE! Toasted desiccated coconut? ARGHHHH!!! YEHEHEHESSS! 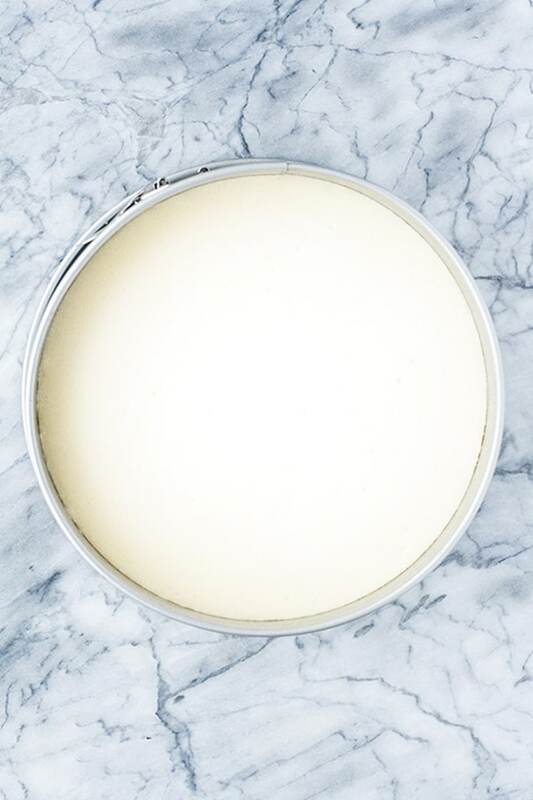 This is the blank cheesecake canvas that’s going to revolutionize your cheesecake cravings. One of the things I love most about this recipe is that not only is it delicious “naked,” but you can easily dress it up and give it a smash of extra flavor by adding any berry/sauce to it. Raspberry, blueberry, strawberry, anything! I also love the crust! The crust is one of those kitchen laboratory experiment success stories, and tastes INSANELY good!